The People’s Bank was charged…with the responsibility of extending credit to under-privileged Nigerians who could not ordinarily access such loans from the orthodox banking system. The vice president, Professor Yemi Osinbajo (GCON) declared in Ilorin recently that the federal government will float People’s Money Bank in the country this year. He added that the bank when established will have branches in all the states of the federation, for traders and artisans to have access to credit facilities. Professor Osinbajo did not explain whether the Peoples’ Money Bank being proposed will be different from the People’s Bank established by General Ibrahim Babangida (rtd.) through Decree No. 22 of 1990, but which commenced operation in October 1989. The People’s Bank was charged then with the responsibility of extending credit to under-privileged Nigerians who could not ordinarily access such loans from the orthodox banking system. 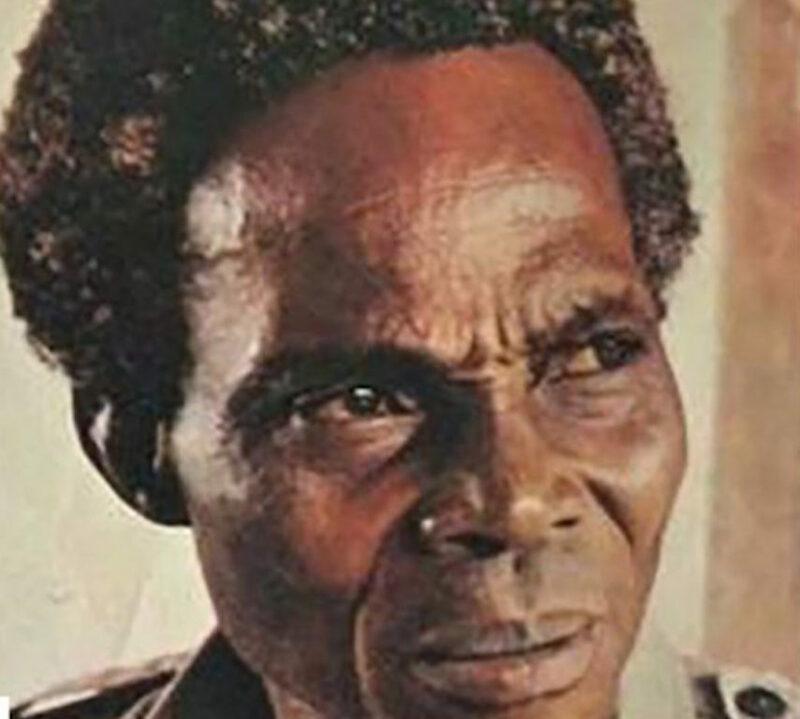 When General Babangida introduced the People’s Bank, he appointed Dr. Augustus Taiwo Solarin (1922–1994), an educationist and social critic, as chairman of the bank. Dr. Solarin, a former principal of Molusi College, Ijebu-Igbo, later founded Mayflower Secondary School, Ikenne in Ogun State on January 27, 1956. General Babangida also appointed Mrs. Maria Sokenu (1946-2005) from the Irele family of Edo State, who was managing director of the Bank. Mrs. Sokenu had earlier worked in Owena bank, New Nigerian Bank and EcoBank. She was married to a gentleman from Isale-Eko, Femi, who happens to be a devout Catholic. Mrs. Sokenu died in the BellView airline crash flight 210 on October 22, 2005 at Lisa Village in Ogun State, along with the former chairman of the Nigeria Railway Corporation, Alhaji Mohammed Waziri; the post master-general of the federation, Alhaji Abubakar Musa Argungun; former permanent secretary of the FCT, Mr. Deji Omotade; and others. My senior colleague and friend, late Mr. Ekundayo Alabi Wright (1939-2018) was also involved in the operation of the People’s Bank. After the exit of General Babangida in 1993, little was heard about the People’s Bank. On June 5, 1999, President Olusegun Obasanjo set up a committee on Streamlining and Rationalisation of Poverty Alleviation Institutions and Agencies, headed by Alhaji Ahmed Joda. Other members of the committee were Mrs. Fumilayo Adebo-Kiencke, Dr. Attahiru Jega, Engineer Chike Madueke, Dr. Peter Ogbang, Mallam Oumar Shittien, Alhaji Adamu Yakubu and Dr. Abdullahi Aliyu (the secretary). The following served as resource persons for the committee – Dr. Magaji B. Mahmoud, Dr. (Mrs.) Evelyn Onyeozili, Dr. M.S. Kallah, Dr. Abubakar Lamorde, Dr. Ephraim Madu, Engineer A. Liman, Engineer Willy Achukwu, Hajiya Talatu Bashir and Chief (Mrs.) Bisi Ogunleye. Also, Mrs. Olubunmi Adetunbi, Prince Lekan Fadele and Mr. S.O. Eloho (of the National Planning Commission). The committee was inaugurated by my direct boss, Chief Ufott Ekaette (CFR), who was then secretary to the government of the federation on July 22, 1999, and I anchored the event. Present at the occasion were Dr. Goke Adegoroye, Mr. Tunde Kamiliu Kasali, Mr. S.A. Adeyeye, Dr. J.N. Obiegu, Chief Olusegun Oloriebi Ogunkua, Dr. Babangida Aliyu, Mr. Samuel Olu Adekunle, Chief Michael Okhibe Onoja, Alhaji B.U. Maitambari and Chief Asinobi Emmanuel Ogbuehi (OON), who were then permanent secretaries in the office of the secretary to the government of the federation. The People’s Bank of Nigeria was among the agencies examined by the Alhaji Ahmed Joda’s committee, alongside the National Agency for the Resettlement of Pastoralists and Migrant Fishermen (NARPF), Small Industries Development agency (SIDA), National Primary Health Care Development Agency (NPHDA), and National Directorate of Employment (NDE). Also,the Nigerian Agricultural and Co-operative Bank Ltd. (NACB), Nigerian Agricultural Insurance Corporation (NAIC), River Basin Development Authorities (RBDAs), Nigerian Industrial Bank, (NIDB), Family Support Trust Fund (FSTF), National Commission for Mass Literacy, Adult and Non-Forma Education (NCMLAE), the Nigerian Agricultural Land Development Authority (NALDA) and others. It was observed by the committee that the People’s Bank had been engaged in group lending to cottage industry promoters, agricultural producers, NGOs and co-operative societies. Still, the Bank claimed to have recorded the following achievements: Disbursement of N1.7 billion as in-house loans from funds derived directly from the federal government, with which it provided support for over one million new businesses, with a net saving of N995.25 million. It also claimed to have disbursed N0.9 billion as loans from funds provided by Family Economic Advancement Programme (FEAP). Although the bank claimed a total loan repayment rate of 87 per cent, analysis of its External Audit Report shows a huge loss of over 80 per cent on its total portfolio. This contradiction suggested that the bank had a high degree of problem loans, despite the management’s claim of a high rate of loan repayment. Equally, some of the bank’s funds were trapped in distressed, as well as liquidated banks due to unwise investment decisions. The bank complained of inadequate funding from the federal government, constrained investment avenues, and a high cost credit administration. There was also evidence of the mismanagement of funds in some its branches. In spite of the above problems, it was believed that with some restructuring and staff rationalisation, the bank could be positioned to handle micro-credit delivery. This was especially in view of the professional quality of some of its staff, widespread presence (280 branches nation-wide) and ten years’ experience in the business of micro-credit delivery.